What is a war file and how do I open a war file? A WAR (Web Archived) file is a compressed package containing Java-based web components and applications run on a server. It is formatted the same way as a JAR file, but includes additional information that tells the application server which Java servlet class to run. WAR files may contain server-side utility classes, static web resources, and client-side classes. They can be run on a server using a supporting program such as the Tomcat Web Application Manager within Apache. The contents of a WAR file can be extracted using a file decompression utility like Stuffit Expander. In addition to project resources, the WAR file includes a Web deployment descriptor file. The Web deployment descriptor is an XML file that contains deployment information, MIME types, session configuration details, and other settings for a Web application. The Web deployment descriptor file (web.xml) provides information about the WAR file is shared with the developers, assemblers, and deployers in a Java EE environment. How to open a .WAR file. Web Archive Files (WAR) are primarily like any other .zip files in the sense that they are auto-compressed in a directory and need to be "unzipped" or un-packaged in order to be used. WAR files however are a little more complicated than an ordinary .zip file in that they are not directly executable files (ie double-clicking them will not unzip them). However, you can easily unzip WAR files in a Window's environment. 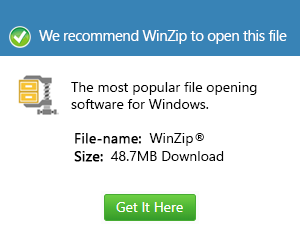 Downloading an unzip utility like WinZip is the easiest and fastest way to browse through WAR files.